- The weapons must be common among the members of the team (at least the core members). 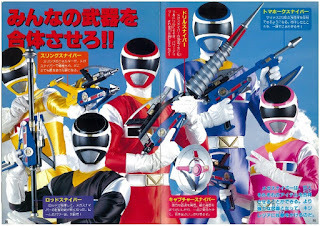 - Henshin devices that also serve as sidearms will be counted. - Sidearms that come later in the series, or gained via power-ups will also be counted, as long as they are shared by the core members. As with any other top 10 list, this is entirely based on my own preferences. And all statements made here are purely subjective. The sword that defined the Shinkengers, the Shinkenmaru has been a part of every battle. 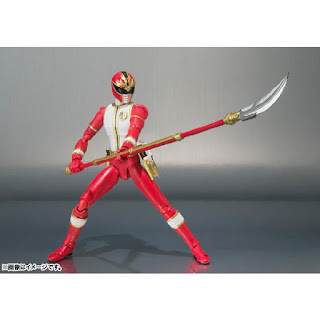 Despite the ability to transform into the Shinkengers' signature weapons, most of the time, they manage to win with this alone, proving how effective it is in combat. 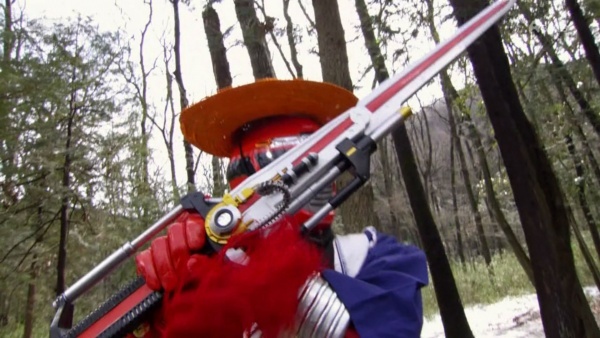 Also serving as the Kyoryugers' henshin device, the Gaburivolver also is a powerful sidearm. 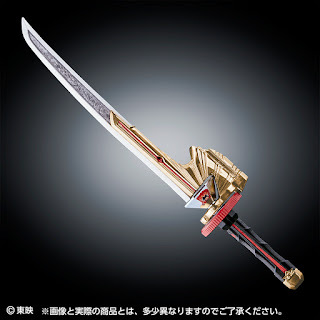 It has been shown capable of finishing powerful Deboth monsters simply by charging 2 Zyudenchi batteries, and can also be used in a variety of situations, depending om the batteries used. 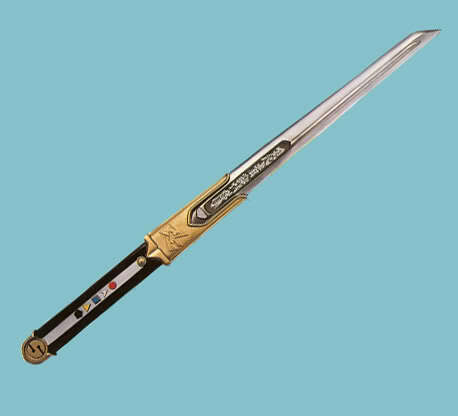 The Kakurangers' signature sword, and one of the best looking sentai swords, in my honest opinion. 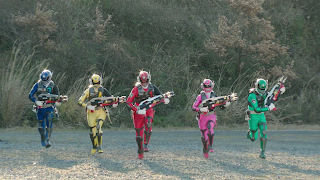 So effective, it can be seen most of the time being utilized byy the Kakurangers. The Seijuuken allows the Gingamen to execute powerful attacks. And when they change to Beast Armor Shine mode, the swords also change to become more powerful and unstoppable. The Survibuster is the primary weapon of the Boukengers. Capable of switching from Survibuster to Surviblade and vice versa, the weapon is versatile for both ranged and melee combat, respectively. The V Lancers come in midway through GoGo V, but it was definitely a step up from their original sidearms, the Five Laser. Usable in other modes such as V Boomerang and V Machinegun, these weapons definitely brought victory. 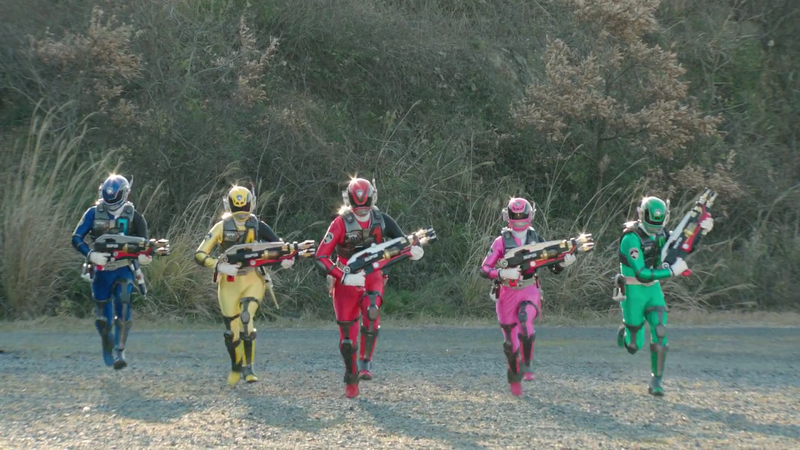 Another weapon upgrade in the list, the D-Revolvers added a lot of firepower into the Dekarangers' arsenal. Delivering high powered beams at high speeds, or charging into large balls of energy to deliver judgement, the D-Revolver took law enforcement to a different level. The Dairen Rods are beautiful staves that create art in the hands of the Dairangers. Graceful yet powerful, they can sweep multiple enemies in one swing. 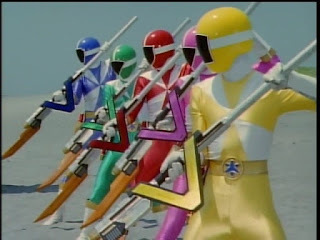 Each Dairanger can also add their unique blades at one end of the rods for extra damage, and can also be paired with the Dairinken in said mode. The Viblade is the sword-based sidearm of the Carrangers. 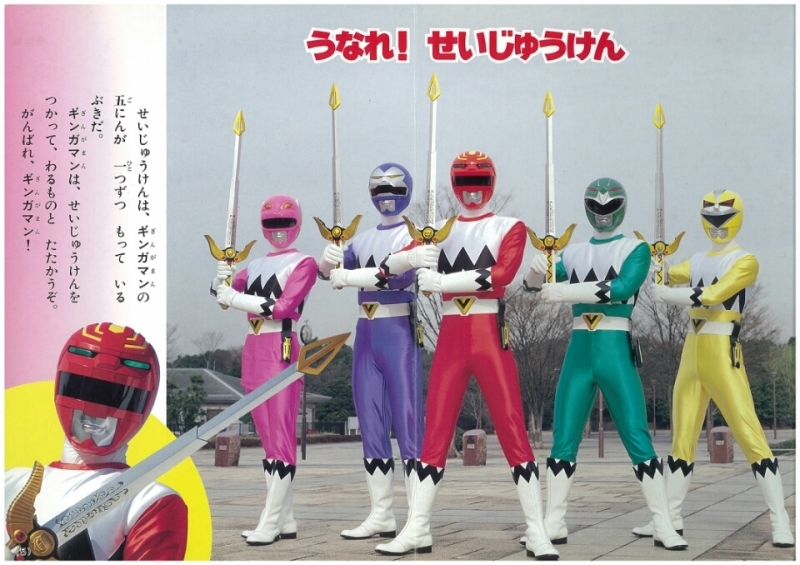 What makes them distinct is that most sentai teams prior to them used either short swords or swords with longer but slimmer blades. The heft of the sword makes them look more durable than the typical slim bladed swords. Also, I think the Viblade looks better than the Fender Sword. 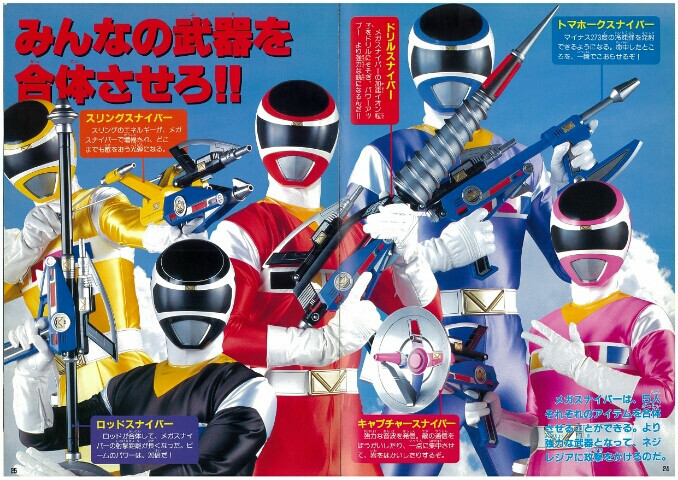 The Megasniper is the Megarangers' primary sidearm. What's great about them is that they are already 2 blasters in one, and can be used in split mode if need be. 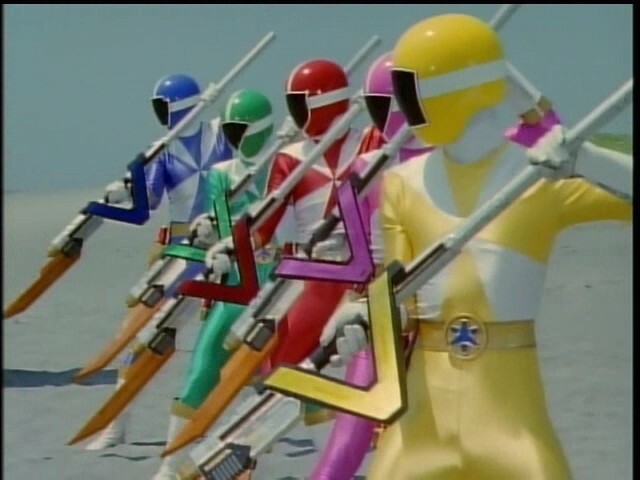 In addition, they can combine with each Megaranger's signature weapon for a more powerful blast. 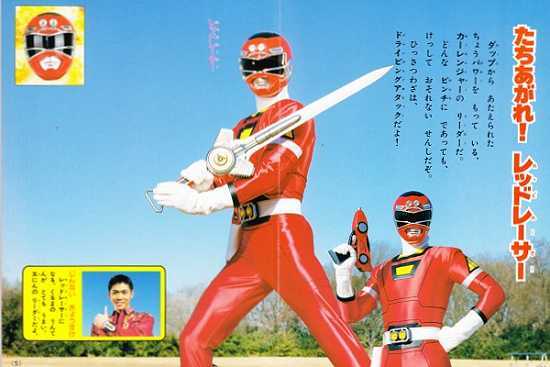 Do you have your own favorite Super Sentai sidearms? Let us know in the comments. Speaking of which, what the hell exactly happened to the holsters?